Health care tech and data grab all the headlines, but science matters most. 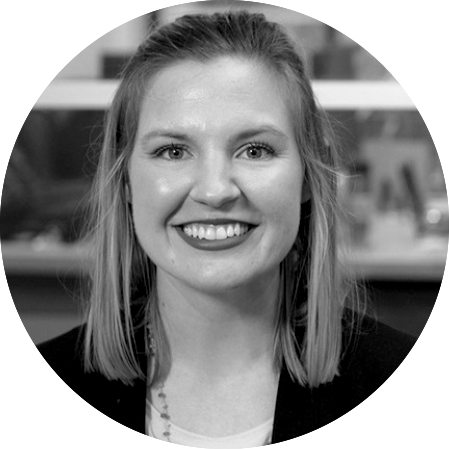 Erin Comerford, senior scientist at Aetion, was drawn into the field of pharmacoepidemiology by her love of public health and quantitative science. We spoke with Erin about the overlap, and how working with real-world evidence delivers the answers she is after. Q: Hi Erin, can you take us along the path you took to becoming a real-world data scientist? A: I’ve always had a knack for the quantitative aspect of public health and studied biostatistics at the University of North Carolina. Then I came to Harvard to study epidemiology—specifically the epidemiology of aging—as I found I gravitated toward chronic disease and life course epidemiology. While infectious disease epidemiology is what you hear about in the news—disease outbreaks are the flashy side of quantitative science and public health—chronic disease epidemiology, particularly factors driven by lifestyle, is equally complex and the underlying cause or causes of disease may be more difficult to pinpoint. Q: How did that course of study turn to a focus on pharmacoepidemiology? A: When I arrived at Harvard, I didn’t know there was such a thing as pharmacoepidemiology; the study of drugs and understanding drug safety and drug effectiveness. So I quickly signed up for a few classes in it. I also worked for a time with the Brookline Department of Health but always came back to my enjoyment of quantitative problem solving. And pharmacoepidemiology classes confirmed to me that that what I most want to do is deepen our understanding of the impact of treatment on chronic illness among aging populations. Q: And how does pharmacoepidemiology shed light on chronic illness among aging populations? A: The elderly are often not included in clinical trials because they may be too sick; thus, findings from clinical trials may not be applicable to older populations. Real-world data provides insight into how treatments are being used and what works for older and sicker populations. And also, older populations are often taking multiple medications. Pharmacoepidemiology can shed light on the health effects of potential drug interactions. Working with real-world evidence helps me to better understand a complex population rife with comorbidities. These data capture how they’re interacting with the health care system, how often they see their doctors, how often they are hospitalized—and the costs associated with those interactions. RWE doesn’t capture everything—quality of life, for example--but it can tell us a lot about what else is troubling patients beyond their primary diagnosis. Q: What led you to Aetion? A: I used the Aetion Evidence Platform in one of my classes at Harvard. Compared to how I was doing my master's thesis—using traditional line-by-line programming software—it was really exciting. It was a blend of true science and tech, and I thought, wow, this is exactly what I want to do. Q: What is your role at Aetion? A: When I joined Aetion over two years ago, I started working on our training content, training development, and going onsite to onboard clients. I really enjoy presenting and communicating directly with clients. So, I also demonstrate the Aetion Evidence Platform to a range of organizations and people: small and mid-sized pharma as well as bigger pharma, data vendors, academic partners, and regulatory agencies. And within those organizations, I may be presenting to analysts and scientists—the people who will be using the Aetion Evidence Platform—as well as statisticians and programmers. Often, however, I present directly to decision-makers; unit leads and team directors looking for solutions to business challenges. I’ll often do several demos for a single client across their teams. Doing demos is a great way for me to deepen my understanding of the health care ecosystem, what people are interested in, what their needs are, and how we can help them. Q: In that role, you sit in the middle of a spider's web of all the places and ways in which real-world evidence is being or could be used. Does that give you a perspective on the broader potential impact of RWE? A: Absolutely. The field of RWE is currently blowing up in terms of the amount of data being generated. And now, I think that with this girth of data, we'll also see a similar explosion of analyses and decisions being made on real-world data in, for example, value-based contracting. It is increasingly important to go beyond proving that a drug is safe and effective, but also that it is more cost-effective than any other treatment. Q: Does the question of data security come up during your conversations? A: Yes, and sometimes clients’ legal counsel will join the conversation specifically to discuss data security. Fortunately, we can say with certainty that the platform is compliant with HIPAA guidelines and GDPR in Europe. We also talk about the range of firewalls we have in place as deployment options. For a regulatory body, for example, or insurance company that cannot upload their data to a cloud, we offer an on-premise deployment option where those data don’t have to be shared at all. Q: What do you want to learn about next, Erin? A: I’d like to explore the applications of RWD in the oncology landscape. There are a host of new types of treatments entering market, and so there’s a lot of work to be done to understand how these treatments affect the standard of care and the cost, as well as the kinds of patients that will use them. Given that pharma is investing heavily in this pipeline, there will be an urgent need to look at what is happening to patients once those new drugs start hitting the market.